1. Sanskruta Sahityaku Odishara Dana (Oriya), 2-5-1996. 2. Mahabharata-Kalina Rajanitire Vidura (Oriya), 15-9-1997. 3. Bharatiya Bhashaon Ki Sampark Lipi Devanagiri (Hindi), 15-12-1998. 4. Sanskruta O Bharatiya Sanskruti (Oriya), 25-9-1999. 5. Lokabhasha-Rupare Sanskruta (Oriya), 17-7-2000. 6. Sanskrutara Adhunikikarana (Oriya), 23-5-2001. 7. Kavyeshu Magha (Oriya), 26-8-2003. 8. Ama Anchalara Jana-Jivanare Nuakhai (Oriya), 19-9-2004. 9. Samanvayara Debata Sri-Jagannatha (Oriya), 24-6-2009 RathaYatra. 10. Bujh Na Bujh Padh Geeta (Oriya), 30-11-2009 Geeta Jayanti. 11. Bharatiya Paramparare Holi (Oriya), 1- 3-2010, Holi Festival. 12. Swagata he Nava-Varsha (Oriya), 31-12-2010. 13. Shweta-Padmaasanaa (Oriya), 8-2-2011, Sarasvati Puja. 1. Bharatiya Paramparare Sampradayika Samhati (Discussion in Oriya), 24-11-2008. 2. Baidika Bichaara O Adhunika Bhoga-Baada (Discussion in Oriya), 13-3-2009. Sangeet Karyalaya, Hatharas, Uttar Pradesh. Published Original Text along with Musical Notation (Swara-Lipi). (Music composed by Pandit H.Harendra Joshi, Ratlam city, Madhya Pradesh). ‘Sangeet’, Music Magazine, December 1999, pages 13-20, Sangeet Karyalaya, Hathras, U.P. in Jawara and Ratlam city, Madhya Pradesh in December 1999.
on 31-December-2002, on the eve of New Year 2003. .
'KAVYA-SANDHYA' Produced by : Sanskruta Bharati, Cuttack, Orissa. * “Nava-Varsha Gitika” Broadcast by A.I.R. Bhawanipatna on 31-December-2002. held at Bhawanipatn on 14 August 2003.
under the auspices of District Council of Culture, Kalahandi. The Song was presented by the artistes of Kalahandi Lekhak Kala Parishad, Bhawanipatna. by himself with the artistes of Women’s Hostel, Govt. Autonomous College, Bhawanipatna. It was Live Telecast on the local TV Channel. of visit of NAAC Team in Govt. Autonomous College, Bhawanipatna, Orissa. Bhawanipatna, Orissa, held from February 1 to 6, 2010. Lyrics, Tuning and Direction were by Dr. Harekrishna Meher. He and students of the College participated in singing this song. College (CPE), Bhawanipatna, Orissa (February 1 to 6, 2010). of the College participated in singing. * Sanskrit Song "Veera -Surendro Vijayataam"
Dr. Smt. Anasuya Nath, a famous singer and Lecturer in Mathematics of this University. * Sanskrit Song " Bhaaratam Priya-Bhaaratam"
Bhubaneswar, Orissa, from 14th to 17th March 2011.
on 14-August-2008 at 8.02 pm, also on 15-August-2008 at 12 pm. Further telecast on 8-October-2009 and 9-October-2009. (Produced by DoorDarshan Kendra Bhawanipatna) on 10-Sept-2009 at 5-30 pm. on 18-October 2018 at 12.02 pm. Produed By DD Kendra, Bhubaneswar Odisha. on the occasion of Doordarshan Foundation Day. Kalahandi Lekhak Kala Parishad, Bhawanipatna. The Program was produced by Bhawanipatna DoorDarshan Kendra. 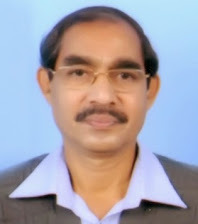 National Odia, Bhubaneswar) in the morning of 31-December-2011 at 6 a.m.
On the occasion of HAPPY NEW YEAR – 2012.
on 2-January-2012 at 5.05 pm. Produced by Bhawanipatna DoorDarshan Kendra. Kalahandi, Odisha. on the occasion of Dashahara Festival. with its music and dance group. Produced by Bhawanipatna Doordarshan Kendra on the occasion of RathaYatra Festival. ‘Vaartaavali’ Sanskrit Weekly Magazine of DD NEWS Channel, Delhi). on 10 Dec. 2016, Saturday at 7 pm. and 11 December 2016, Sunday at 12.30 pm. Singer : Rajesh Upadhyaya (Gurugram) as shown in the program. Telecast on 1 April 2017, Saturday at 5.30 pm. on 29 April 2017, Saturday at 7 pm. and 30 April 2017, Sunday at 12.30 pm. Singer : Satyapriya (New Delhi) as shown in the program. Telecast on 27 May 2017, Saturday at 7 pm. Singer : Firoze (Jaipur, Rajasthan) as shown in the program. Telecast on 25 November 2017, Saturday at 6.30 pm. Telecast on 23 December 2017, Saturday at 7 pm. Special Programme on the occasion of Republic Day of India. Telecast on DD News Channel on 27 January 2018, Saturday at 5.30 pm. Further in Sanskrit ‘Vaartavali’ Magazine, on 27 January 2018, Saturday at 9.30 pm. and on 28 January 2018 Sunday at 3 pm. Singer : Ranjan Bezbaruah (Assam) and Chorus. Produced by : DD NEWS Channel, Delhi.